No cry babies, no prolonged lectures on death, no 'I am going to dieeeeeeeee, save meeeeee!' screams. 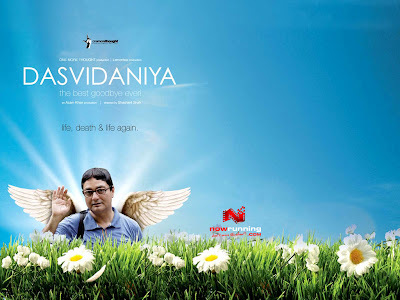 Dasvidaniya's screenplay takes the unexpected comic path, much to our delight, without losing its realistic charm. A wonderful Vinay Pathak leads the talented cast- he plays the list making Amar Kaul, who realises, like so many protagonists have on the Hindi film screen, that it is really worth living only when you are told by a grim-faced doctor that death is not too far away. This could so be close to real life. Are we also waiting for someone to tell us a definitive death date that we start living, for a change? Go for it, before it disappears from the theaters.